Jam is delicious, but it is usually far from nutritious. All the preservatives and sugar in store-bought jam steal the goodness from what should be a healthy treat. Even most home made jams use pectin and rely on sugar to help the liquid set. It doesn’t have to be this way. The pectin-sugar combo isn’t the only game in town. Chia seeds can be used in place of sugar to help the jam set. Then a healthy alternative sweetener, like organic honey, can be added to taste. Not only are we avoiding excessive sugar and preservatives, chia seeds come with a whole range of benefits. They are rich in omega-3 fatty acids, high in nutrients and known to fight inflammation. Heat your fruit of choice on medium heat until soft and gooey. Stir in chia seeds, honey and lemon juice to taste. Store in the refrigerator; your jam will further thicken as it cools. Pro tip: For a thicker jam, add more chia seeds. Hey Buddy!, I found this information for you: "WATCH: Healthy Homemade Chia Seed Jam". 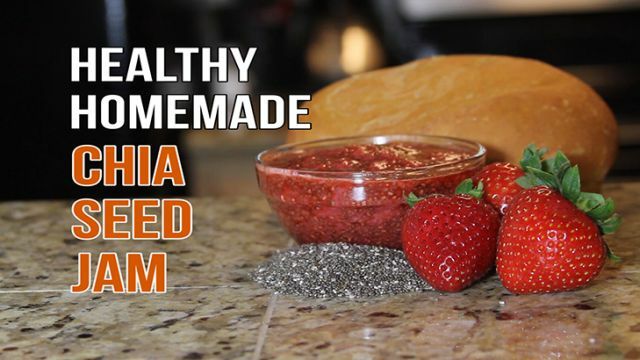 Here is the website link: https://www.thealternativedaily.com/watch-healthy-homemade-chia-seed-jam/. Thank you.